Australia’s population clock is, according to the Australian Bureau of Statistics, steadily ticking away at an overall total population increase of one person every one minute and 23 seconds. Many are debating what the ideal population is for a country like Australia. But because most of this population growth is concentrated in our big cities, perhaps we should be thinking less about that and more about the ideal size of a city. Historically, there have been many theories on what this would be. For Aristotle (384–322 BC), for instance, the key was balance. Cities had to contain a minimum number of groups, such as citizens and slaves, to work politically. Similarly, a city’s population had to be balanced against the size of the territory it drew its resources from to enable each citizen (but not slave) to have what he called a “good life”. Aristotle reputedly drew on the constitutions of what were then known as city states. These aren’t directly comparable to today’s cities but do make for good test cases with which to examine urban models. City states of the time, in the vanguard of urban life as they were, were equivalent to small towns of today and less connected and more homogeneous. During the 20th century, as the world’s population grew, planners around the world tried to deliberately limit the size of cities. But how did they decide on the ideal size? Planning theorist Lewis Keeble wrote in the late 1950s that the ideal UK city size could be determined by setting the distance for citizens to reach the countryside. So, a resident in the centre of a town could reasonably be expected to walk to the edge of the city for a distance of two miles (3.2km). Under this concept, with a density of 50 people per hectare, the ideal city size would be 160,000. For a city, where the population would have access to public transport, Keeble estimated this would be around 4 million. Keeble was the first to admit these calculations were naive. Yet a calculation of city size based on the biological limits of the human body, mixed with the use of public transport, echoes contemporary thinking. Cities that often top the liveability scale – such as Melbourne and Vancouver – are universally mid-sized (around 4-5 million people) with low population density. More recently, in the late 1990s, the Italian physicist Cesare Marchetti’s term “the 30-minute city”, first proposed in a relatively obscure paper, has been drawn into policy language. In the lead-up to the 2016 federal election, Prime Minister Malcolm Turnbull aimed for a deal to be struck between all levels of government, to deliver suburbs where residents can get to school or work within 30 minutes. And in a speech to the National Press Club two years earlier, Labor’s shadow minister for cities, Anthony Albanese, said he was “particularly attracted” to the concept of the 30-minute city. "This is the simple concept that most people’s day-to-day work, educational, shopping or recreational activities should be located within 30 minutes’ walking, cycling or public commuting from their homes." But a city’s liveability isn’t equal to its appeal for living and working in. Tokyo, the largest city in the world, will never top the liveability scale. 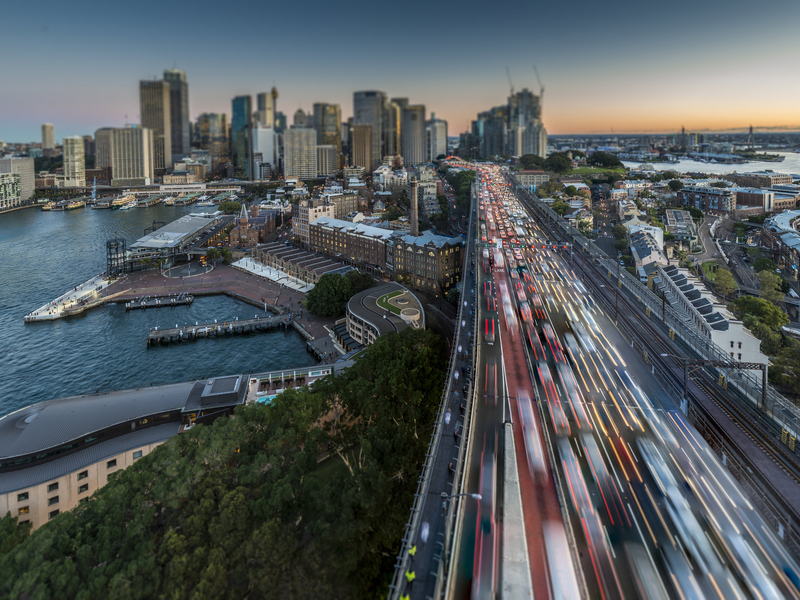 Its infrastructure challenges are of a different order compared to Australia’s cities. The equivalent of Australia’s population passes through the ticket barriers of Shinjuku, its busiest station, in a week. But these challenges are being managed quite successfully. Connecting cities. Urban, developed economies have understood that to use the surface areas that can be urbanised effectively they have to connect their large cities with smaller ones using high-speed rail. Large cities have the existing expensive infrastructure such as airports but the smaller cities are the ones that have the capacity to grow. Connecting within cities. Transportation technologies are constantly evolving. While debates rage about infrastructure, from rail crossing to bike lanes, we are in fact in the middle of a revolution thanks to the uptake of a range of low-speed electric vehicles, such as scooters. Designing cities for these would benefit pedestrians (unlike cars) and would also anticipate the changes that are going to be necessary for an increasingly aged society. Focus on small to medium cities. Even though the second-largest city in the world, Delhi, growing to the size of Tokyo without the same infrastructure is a scary prospect, the lion’s share of urban growth is happening in medium-sized cities. The top ten fastest-growing cities are all in Africa. The fastest growing city to 2035 is going to be Zinder in Niger, for example, a city of 300,000. If Australia were to follow this global trend, policies should be focusing on Newcastle over Sydney and Bendigo over Melbourne. Ultimately, as Aristotle argued, cities are natural biological entities. Like all biological organisms they should have natural limits. Megacities of today are able to transcend those limits in ways that couldn’t have been imagined even 100 years ago. How long humanity can keep doing this is ultimately a question of biological destiny.